A security camera can only tell you so much. If you want to know what the heck is going on inside the tanning salon -- not to mention the rest of the mall -- then you've got to play Night Watch Island, available now exclusively to Poptropica Members! If you're not yet a Member, find out how to get Membership so that you can play Night Watch Island this weekend! In the quest for 10,000 supporters for our LEGO CUUSOO project, Dr. Hare's Lair, we've reached an important milestone: 2,500 supporters! As thanks, we're giving away a brand-new costume to anyone who wants one. 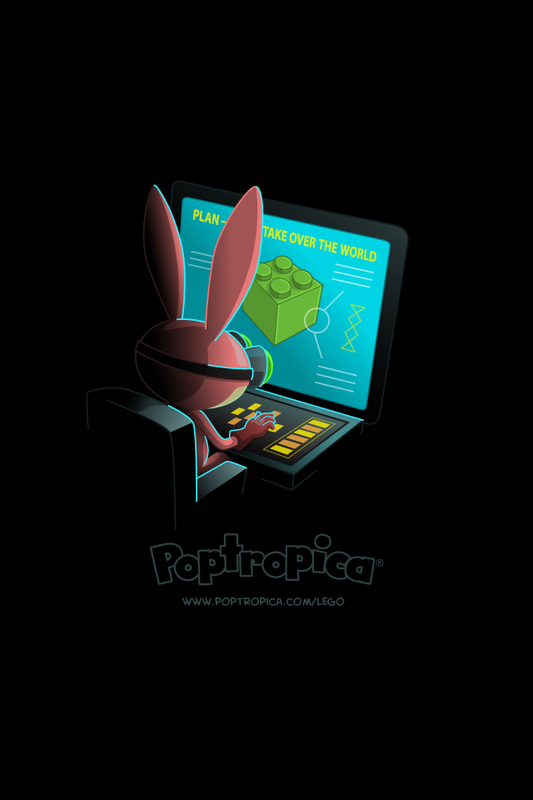 Simply log in with your existing Poptropica account and enter the promo code DRHARE2500 to claim your free Big Carrot outfit. If you're one of the more than 2,500 people who have cast your support for Dr. Hare's Lair on LEGO CUUSOO, wear this outfit with pride. If not, wear it with deepest shame. And then visit our project page to find out how you can help us reach the finish line! The battle for bragging rights becomes ever more heated. With 33 Islands to explore and complete on Poptropica, earning every Island medallion is no easy task. But if you can do it, then you can show off your 33 shiny gold medallions to all your friends! They will seethe with envy. So how about it? Are you up to the task? Head to Poptropica to earn the medallions you're missing! Congratulations to the first 10 finishers of Night Watch Island! Many Poptropicans have completed Night Watch Island. They've shopped 'til they've dropped; they've succumbed to mall madness. It was a wild weekend on Poptropica, that's for sure. We'd like to extend special congratulations to these players, who were the first 10 to complete Night Watch Island on its opening day! Well done, one and all. And good luck to everyone else about to embark on this after-hours adventure! Night Watch Island is available now for Poptropica Members, and one of the best things about it is how many new things are available for you to costumize. We're talking tons of new costume pieces that anybody who plays Night Watch Island can get. But there's one costume that won't be around forever: the Cat Burglar costume, available only in the Poptropica Store. It's only for Poptropica Members, and it's only around during Early Access for Night Watch Island! If you don't want to miss out on the Cat Burglar costume, or on being the first person you know to play Night Watch Island, then find out how to become a Member today! Night Watch Island is now available to Poptropica Members! Night Watch Island is now available for Poptropica Members! 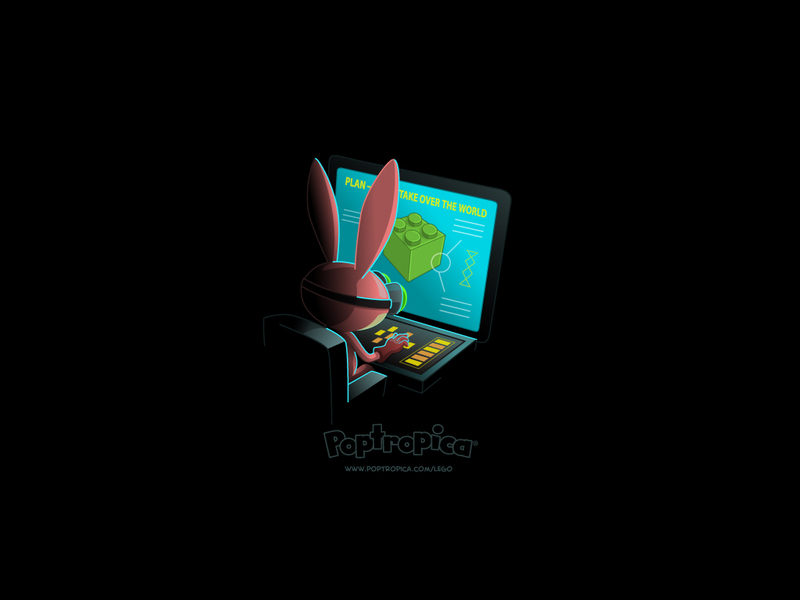 Visit Poptropica now to start playing. Not a Member? Find out how to get Membership now so that you can play Night Watch Island today! There's a long line outside the mall. People are just chomping at the bit to get a look at... well, something. Who knows what wonders await? Prepare to find out soon in Night Watch Island! Does it get any more hair-raising than a white-knuckle ride on a bucking pickle? Probably not. All this and more await you in Night Watch Island, which is coming very soon to Poptropica! It would be great to play Poptropica 24 hours a day, but sometimes your parents want to see you do something else, like read a book. But you don't have to give up Poptropica entirely to satisfy your reading jones. If you haven't checked out the Poptropica books yet, now's a great time to do so! Visit our Poptropica books page for more information about our illustrated novels, guide book, and activity books. 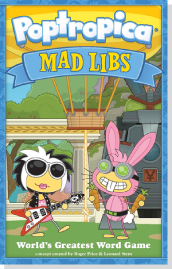 Plus, from that page you can read the first chapter of Skullduggery Island, and download an exclusive Poptropica Mad Lib. Zomberry Island has been available to everyone for about a month now, but for those of you who are still stuck, help has arrived! You can now download the free Zomberry Island guide on your iOS and Android devices. To download for your Android device, download from Google Play. Those zombies aren't getting any better without your help. Get going! Valentine's Day is less than a week away, and we want to make sure that everyone can share the love. We're featuring some classic heart-themed items in the Poptropica Store. The Big Hearted Costume lets you wear your heart on your sleeve -- and your shirt, and your pants, and everywhere else. The Love Potion will cast a spell on anyone you desire. 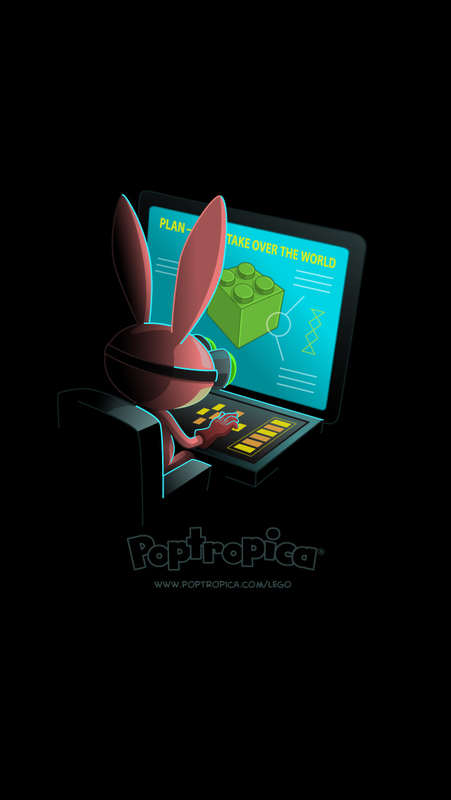 Visit the Poptropica Store and check 'em out! Okay, so you've supported our project on LEGO CUUSOO. You are one of the exalted ones. But what else can you do to help? 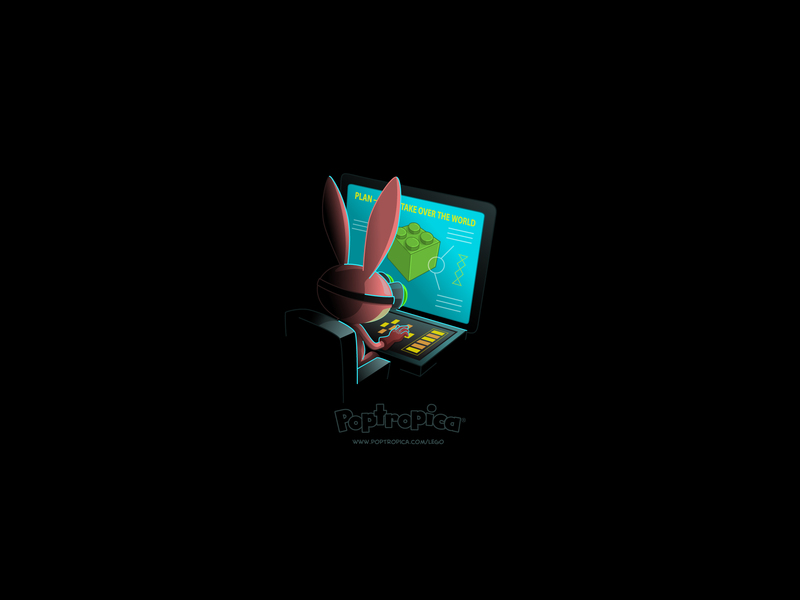 For one thing, you can grab and print your Poptropica Supporter Badge! It's got a space to write which number your vote was. You can tape it up on the wall to shame all of your johnny-come-lately friends who didn't vote until after you did. So what are you waiting for? Support our project on LEGO CUUSOO, and then get your Supporter Badge! We've got our hands full building new Islands for you to enjoy. Part of that means making new duds to wear. Here's a look at one new costume we're working on... but you'll have to wait to find out what it's for! After we asked for your assistance on Friday, you responded. Very quickly, our LEGO CUUSOO project steamrolled past 1,000 supporters. The other Creators and I discussed ways we could thank you for your help. I suggested forced labor in the carrot factory; Binary Bard argued for grafting bionic upgrades onto your "squishy meat-appendages." Ultimately, those ideas seemed impractical, so instead we whipped up a new wallpaper. 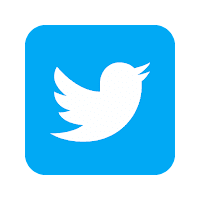 You can download it for your computer or your handheld device, using one of the links below. We thank you again for your support. If you have not yet voted to support our LEGO CUUSOO project, please do so now! You have done well, my minions. Since we announced our LEGO CUUSOO project last week, many of you have done your part to help us reach the promised land of 10,000 supporters. There's a long way to go, but as I write this post, we are just a few votes shy of our first major milestone: 1,000 supporters! Can you help our project reach 1,000 supporters? Visit our LEGO CUUSOO project page now to cast your vote! Make this happen, and I might reconsider my plans to enslave you all.